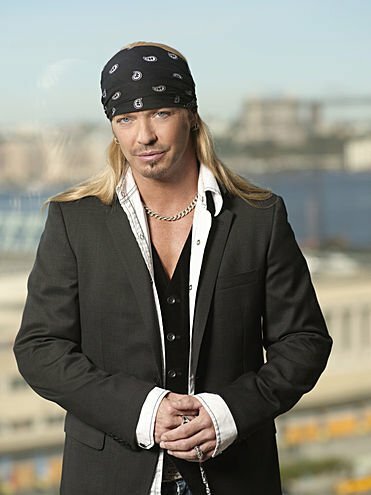 Poor Bret Michaels – he just can’t seem to get a break these days. All the more reason I want him to win Celebrity Apprentice! Yesterday Michaels was on Oprah talking about almost dying and how he’s happy to be alive and how his priorities have changed. He was readmitted this week “after suffering numbness on the left side of his body, predominately his face and hands,” the statement reads. After performing some tests, his doctors discovered a hole in the Poison star’s heart. Michaels, who taped his interview with Oprah Winfrey before this setback, is still expected to recover, but his participation in this Sunday’s finale of Celebrity Apprentice is in doubt, as is his planned return to the concert circuit on May 28. “I realize Bret wants to make a full recovery so that he can be active with his family, attempt to attend the finale of Celebrity Apprentice and especially get back on the road to continue making music,” says his neurosurgeon, Dr. Joseph Zabramski. Zabramski say the stroke and heart condition do not appear to be related to Michaels’ brain hemorrhage. He has been given a regimen of blood-thinners and is being treated on an outpatient basis. previous post: Lindsay Lohan Arrest Warrant Issued. And Revoked. Arg!! Well that’s a depressing thought! 53 queries in 0.753 seconds.